Rosemary "Rosie" Tigges, 78, of Dubuque, Iowa passed away on October 29th, 2018, on her 58th wedding anniversary, at Stonehill Care Center. Mass of Christian Burial will be at 10:30 a.m. Friday, November 2nd, 2018 at St. Catherine Catholic Church with Rev. Rodney Allers officiating. Burial will follow in the church cemetery. 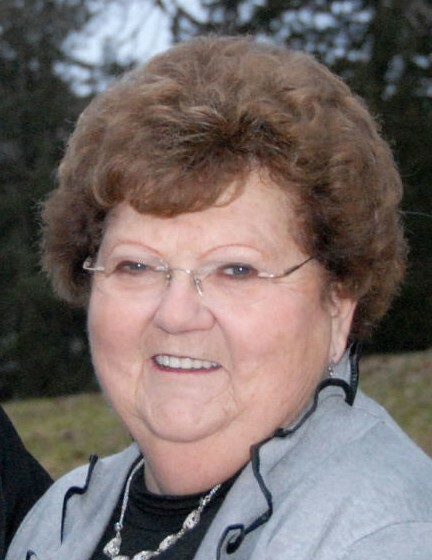 Visitation will be from 3:00 p.m. to 8:00 p.m. Thursday, November 1st, 2018 at Leonard Funeral Home & Crematory, 2595 Rockdale Road where a wake service will be at 2:45 p.m.
Rosie was born on February 26, 1940 in Balltown, Iowa, the daughter of Vincent and Lucille (Neuses) Rolwes. She graduated from Immaculate Conception High School and on October 29, 1960 she married Raphael "Ray" Tigges at St. Francis Catholic Church in Balltown. She was a loving wife, mother, and grandmother. She was a dedicated homemaker and in addition worked as a bookkeeper for Ray Tigges Body Shop. Rosie was a member of St. Catherine's Rosary Society, Tri-State Country Dancers and the Domino Group. She enjoyed music, country dancing, and traveling, but she mostly enjoyed time with her family, friends and especially her grandchildren. She is survived by her husband Ray; four children, Dan (Carmen) Tigges, of Rochester Hills, MI, Laurie (Kevin) Kelleher, of Dubuque, Connie (Brian) Tauke, of Rock Island, IL, and Karen (Rob) Powers, of Dubuque. Ten grandchildren, David and Kyle Tigges, Nick, Nathan, and Noah Kelleher, Kirsten, Jacob and Sam Tauke, Trevor and Tyler Powers; three great grandchildren, Diana, Sylvia and Augustus. One sister Rita Mae Riniker, of Epworth. She was preceded in death by her parents and a sister Ruth Ann Denlinger. The family would like to express sincere thanks and gratitude to Stonehill Care Center and Hospice of Dubuque for all their care, kindness and compassion given to Rosie.